As environmental awareness reaches new heights and the world’s population continues to rise, the issue of providing sustainable foods which also offer a high nutritional value is set to grow, in both importance and complexity, over the next decade. It is with these considerations in mind that Vitafoods Europe 2019 has developed its agenda. The three-day event (7-9 May 2019, Palexpo, Geneva) will this year focus on bringing the industry together to discuss key challenges such as sustainable sourcing, and wider trends including free-from, plant-based ingredients, and hemp extracts and CBD. 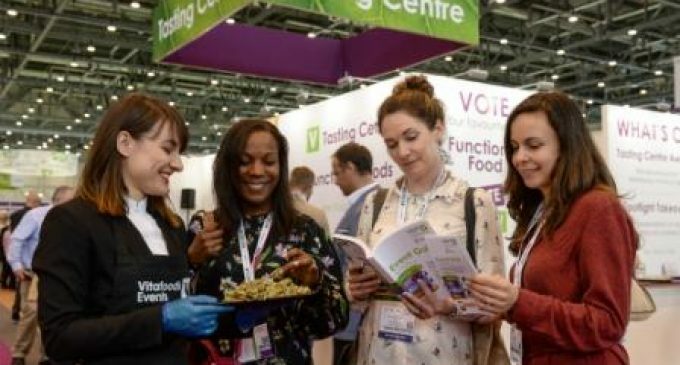 This year’s show is expected to attract 22,000 visitors and will play host to over 1,200 leading global suppliers active in ingredients and raw materials; dietary supplements; contract manufacturing and private label; and services and equipment, exhibiting thousands of quality ingredients and products. As a meeting point for the nutraceutical industry, Vitafoods Europe 2019 will offer visitors an opportunity to source innovative, high quality ingredients and finished products conveniently at one location, saving both time and resources, and eliminating logistic difficulties. The event has also added to its portfolio and introduced a range of new features, including a brand-new Sustainability Square, which will showcase the latest consumer and market insights from across the industry, allowing visitors to make informed and future-focused buying decisions. To clear-up any confusion around updated or newly introduced EU and global regulations and allow manufacturers to speed up the process to market, Vitafoods has invited experts from the European Federation of Associations of Health Products Manufacturers (EHPM), who will be offering one-to-one consultations as part of a new Regulatory Clinic. While a new Clinical Trials Zone will offer a step-by-step guide to the clinical trial process, a Diversity & Inclusion Roundtable will open the discussion on the importance of establishing diversity in the workforce to create an inclusive environment and the benefits this will bring. 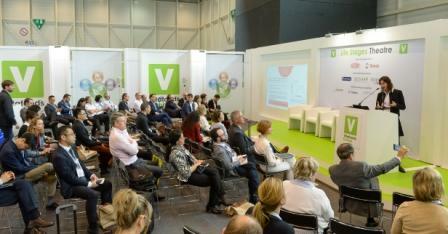 Additionally, the Vitafoods Education Programme will return this year with a new flexible structure, giving delegates the chance to attend specific sessions, individual days or the full three-day agenda. Running throughout the event the programme will have 11 summits and over 50 industry and business experts, to discuss and debate breakout trends and the industry’s latest studies. To give visitors the opportunity to network in a more relaxed setting, supplementary events are also taking place across the three days, including the Community Breakfast, Diversity & Inclusion Roundtable, Nutrition Capital Network’s sixth annual European Investor Meeting, Good Manufacturing Practices (GMP) Training by EAS Consulting Group, NutraIngredients Awards, 5K Run and Yoga Wellness sessions. Chris Lee, Managing Director, Global Health and Nutrition Network, Europe, at Informa Exhibitions, said: “Sustainability is a crucial influencer in the purchasing decision making process for consumers who are becoming more health and environmentally-conscious. This and the need to provide enough food supply for a growing population, has led us to identify the sustainability of the industry as a key concern and opportunity for the nutraceutical industry.